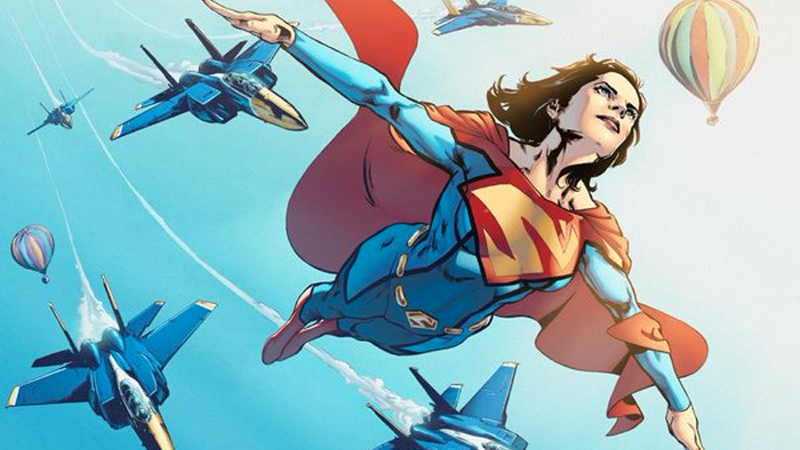 We’ve known that there’s a Superwoman series coming in DC’s Rebirth shakeup ever since it announced its comics lineup at Wondercon last month. But now we know who the (obvious) choice is to be the new Woman of Steel—and her ascent to the position has some intriguing hints about Superman’s fate. Let’s get the obvious bit out of the way first: yes, Superwoman is in fact Lois Lane—not Lois White, the old pre-reboot Lois who married pre-reboot Superman who’s going to be the new Superman (it’s a long and increasingly convoluted story), but the current Lois Lane, Daily Planet reporter of the New 52 universe. The revelation comes from DC’s new previews magazine, which had some brief new details on Phil Jiminez’s new series. Imbued with the powers of Superman, Lois Lane pledges to use her powers to protect Metropolis as the new Superwoman. The only problem is, Lois’ new powers are killing her, and neither she nor her friend and confidant Lana Lang know what to do about it. Will Lois even survive long enough to find out the deadly secret of ULTRA-WOMAN? How the hell does Superman give his powers away? We don’t really know yet—but the Superman series has already started teasing this literal continuation of Superman’s legacy, in the wake of the revelation that Superman is dying, a fact that is revealed to Lois at the end of Superman #51. Looks like she doesn’t just inherit the power, but the risk that comes with it, too. Superwoman #1 is set to release August 10.